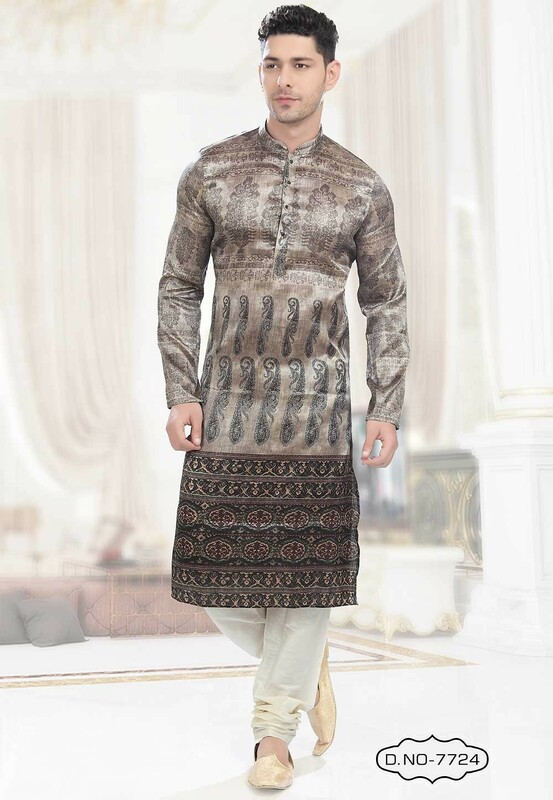 Add subtle glamour to the robust persona in this Grey,Black Colour Dupion Silk Fabric Readymade Kurta Pyjama. You're reviewing: Grey,Black Colour Printed Kurta Pajama. 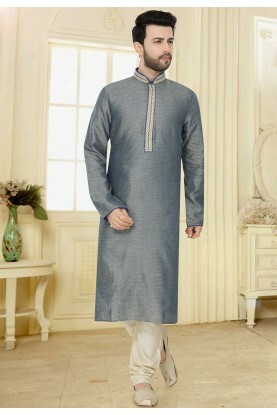 Blue Color Silk Designer Kurta Pajama.